iMeet® Central for Enterprise and iMeet Central for Agencies Customers have full access to Web Folders. 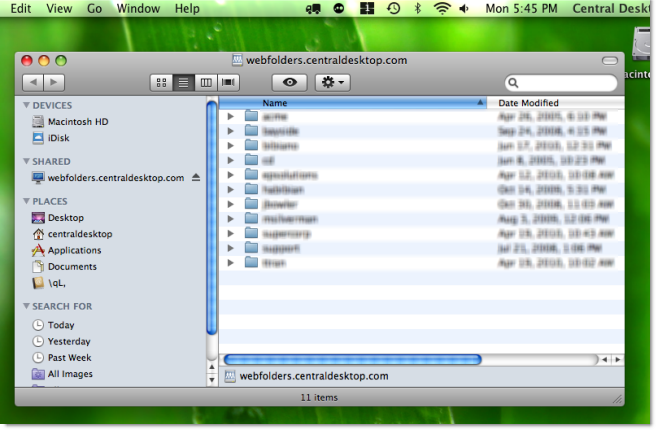 iMeet Central for Professional Customers have READ ONLY access to Web Folders. Mac OS X has native support that allows you to access your iMeet Central workspaces directly through your operating system. 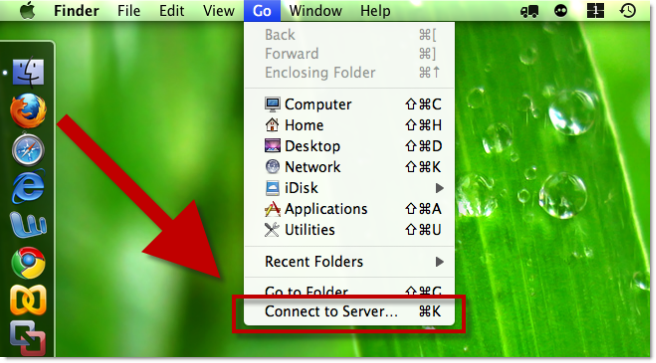 Follow the steps below to connect to iMeet Central. 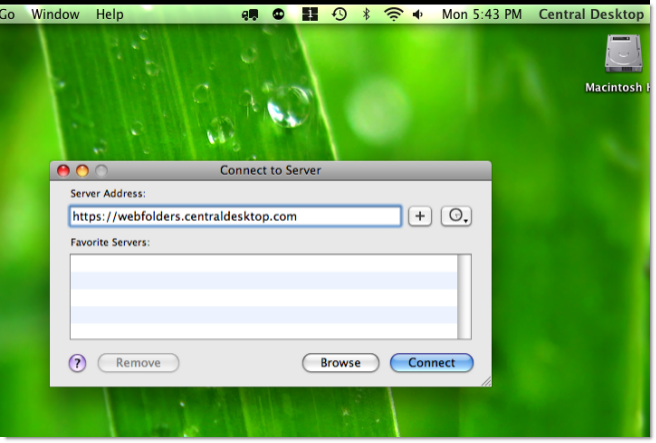 Under Server address type https://webfolders.centraldesktop.com then click Connect. 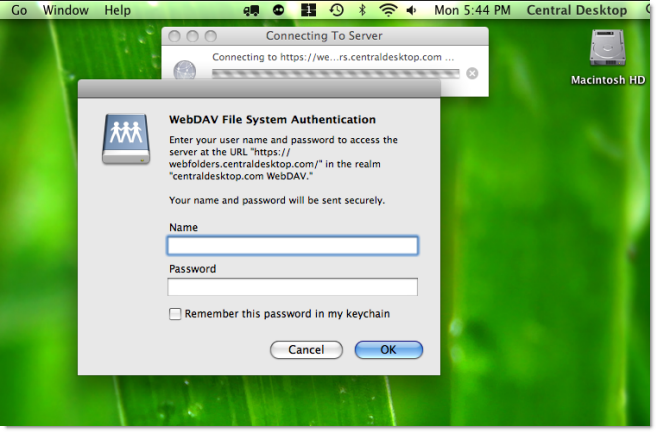 A menu titled WebDav Files System Authentication will appear. Enter your Central Desktop username and password here then click Ok. Make sure to enter your username in all lower case characters.